Tom Ward, chief executive of troubled oil and gas explorer SandRidge Energy, has set the bar even lower for the oil patch. He is not the first energy boss to live large at shareholders’ expense. 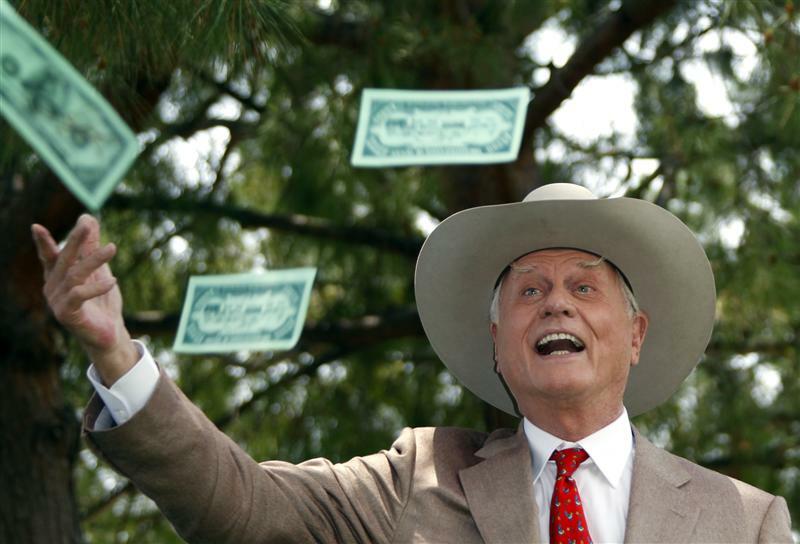 But his extravagance at the nearly $3 billion U.S. company would make even TV villain J.R. Ewing blush. Angry owners are right to want him out. Elsewhere in the sector, Chesapeake Energy’s Aubrey McClendon, who co-founded his company with Ward, convinced his board to pay him a $77 million bonus even as the stock plunged in 2008. Nabors Industries’ Eugene Isenberg stepped down as chief executive this year after realizing $173 million in compensation since the end of 2005 despite his firm’s stock lagging badly. And two executives at pipeline firm Southern Union tried to bag $100 million in goodies when selling the company to a rival, including non-competition payments that continued after their deaths. Investor rebellions at least partly curbed these abuses. Ward deserves a shellacking, too. A letter from a disgruntled shareholder, TPG-Axon Capital, outlines the rap sheet. The company’s annual general and administrative expenses have recently been equivalent to almost 8 percent of its market capitalization, against about 1 percent to 3 percent for peers. Only Chesapeake, an example to be avoided, comes close at 5 percent. TPG-Axon has set out its explanation for the flood of outgoings: an extraordinary series of executive perks. Ward himself has drawn $150 million in payments from the company in the five years since SandRidge’s 2007 initial public offering, despite an 80 percent fall in the stock price. His chief financial officer has seen his pay quadruple since then to $6.8 million. Before Ward sold shares to the public, the company had a small, old jet aircraft and two propeller planes, according to TPG-Axon. Now it has four jet aircraft, two of which are expensive intercontinental models. The firm’s wells all lie within a few hundred miles of each other, but Ward is allowed unlimited personal use of the fleet. Ward, along with McClendon, also dabbles in the ownership of the Oklahoma City Thunder basketball team – and his company buys courtside suites. He has set the bar low, and shareholder action is overdue. If Ward is knocked out, governance would be the winner. TPG-Axon Capital said on Nov. 30 it will solicit support from other shareholders of SandRidge Energy to replace the company’s board of directors, citing poor management of the U.S. oil and gas company. SandRidge has come under fire this month from TPG-Axon and Mount Kellett Capital Management who are demanding the ouster of SandRidge Chief Executive Tom Ward in light of the company’s long-term underperformance. In its letter TPG-Axon, which owns 6.5 percent of SandRidge, repeated its call for the company to consider an outright sale.